Whiskey lovers are a special breed. They love to know all the latest information on home distilling, aging, and custom flavoring their spirit of choice—and they get a special thrill from serving in style. These gifts will be a hit with the whiskey lovers in your life. Be a rebel and make your liquor at home with this handmade copper moonshine still. It’s compact enough to use inside or out, and the copper design eliminates the harmful chemicals found in other home stills. You’ll be most popular guy in your group of friends as you sip fresh homemade whiskey anytime you want. 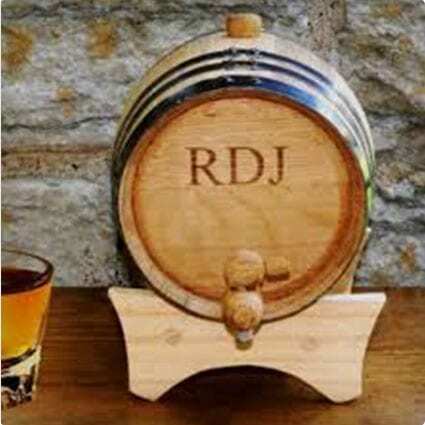 Pour your whiskey the old fashioned way, straight from a rustic oak steel banded barrel. This two-liter whiskey dispenser comes with instructions for curing and includes a stand, bung and spigot for easy filling, cleaning, and serving. Personalize it with your name, initials, or favorite drinking quote. Custom craft your favorite whiskey with these oak whiskey elements. These home whiskey elements are the best way to jump from bottom of the barrel to top shelf. Drop one in a bottle, wait twenty-four hours, and voila—you’ll be drinking the smooth, aged, whiskey of your choice. 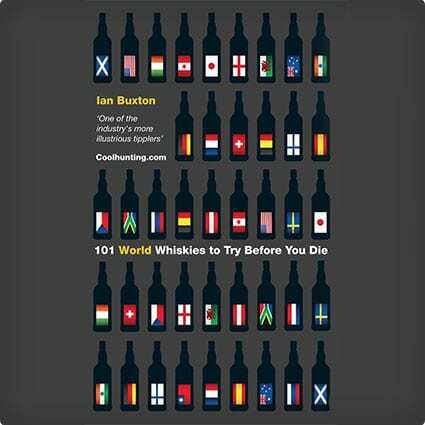 Read this book and become an overnight whiskey aficionado. Impress your friends with your extensive knowledge of whisky history, distilling methods, and tasting styles. 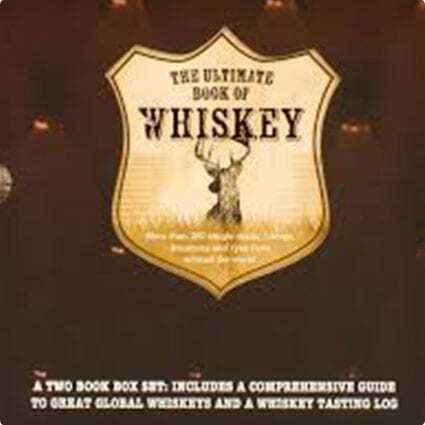 This book is chock full of color pictures and has detailed information on over two-hundred single malts, whiskey blends, bourbons, and ryes from around the world. Drink your hooch in style from these specially crafted whiskey-sipping glasses. This elegant and classy design won the 2006 Queen’s Award for Innovation. These crystal beauties have a full bowl, a stylish base, and a tapered top to bring out the nuances of your favorite spirit. They’re the go-to glass for whiskey aficionados the world over. This elegant whiskey set made by James Scott is the ultimate item for the gentleman whiskey drinker. 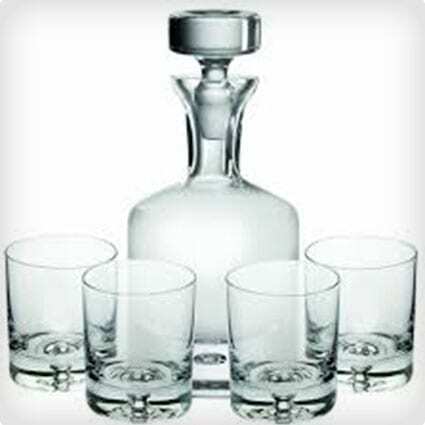 The handcrafted, fine-etched crystal decanter and four double-shot glasses will impress your friends in your home and add that extra gravitas when you seal the deal with a drink at the office. Have your whiskey on the rocks with these real granite stones. These re-usable whiskey stones come in a wood box and store easily in the freezer. They’ll keep your whiskey cool without watering it down. End the ‘neat or on the rocks’ argument by having it both ways: cool whiskey without losing flavor. Keep your iPhone safe, make your friends laugh, and remind yourself that it’s never really too long until happy hour. This durable rubber iPhone 5 cover looks like a half-full glass of whiskey on the rocks. It’s slim, scratchproof, waterproof, and allows easy access to all phone functions. Stick it to the man and make your own custom aged and flavored spirits with this home kit. 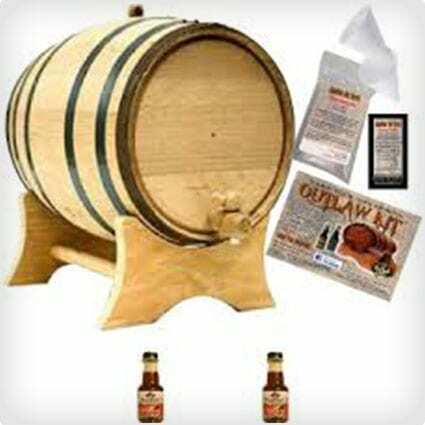 Choose your size and put this classic white oak, black steel hooped barrel on your counter, bookshelf, or home bar. This kit comes with a stand, spigot, bung, and easy-to-follow instructions. This high-quality handmade table is crafted from American White Oak, Steel, and authentic bourbon barrel. The top opens to reveal plenty of storage space for your favorite whiskey and serving set. Pop it up, grab your bottle, and serve your friends, all without leaving the couch. 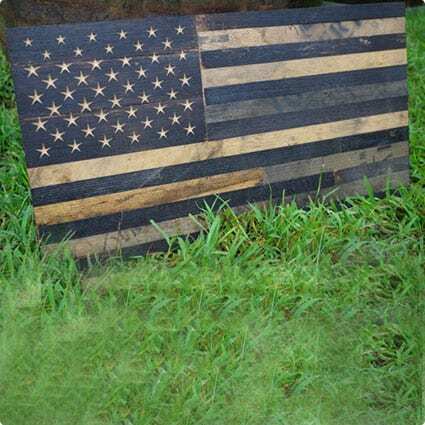 Combine your love of country and your love of whiskey with this handcrafted American flag made from decommissioned whiskey barrels. The stars are individual cut from barrel heads and the stars or alternating inner and outer staves. Put this outside for a 4th of July barbecue to show your patriotism. Satisfy your sweet tooth with these homemade maple syrup/whiskey flavored caramels. The alcohol evaporates in the cooking process so you can enjoy these delicious delectables any time of the day. Keep them on your desk at the office for those afternoon sugar cravings or at home in the kitchen for an easy dessert. If you absolutely insist on putting ice in your whiskey, do it right with this durable plastic tray. The tray is flexible, lifetime guaranteed, and makes perfectly spherical ice balls every time. Their large size will melt more slowly and keep your whiskey cooler for longer than regular ice cubes. It’s almost guaranteed that no one else will have one of these. 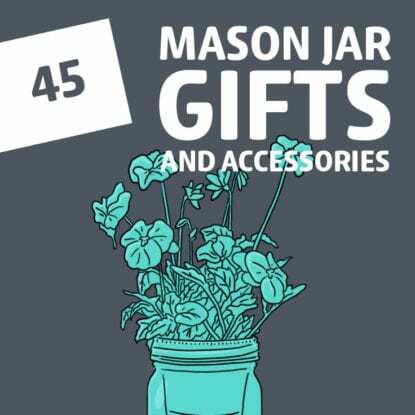 Buy it as a single lamp, group them together to make a whiskey chandelier, or have it crafted as a wall sconce. Accent your study or man cave and sip whiskey in the mellow light of a thirty watt Beacon style bulb. The Scots might have the corner on malt whiskey, but the good ol’ US of A has its own secret weapon: bourbon. Keep this book on your coffee table and educate your friends on the origin and history of America’s liquid gold. There’s more to the story than you can imagine. Do you love your whiskey so much that you’d fight for it? Whiskey is the only liquor important enough to have its own rebellion. Commemorate the famous 18th century American movement with this historical red, white, and blue flag. 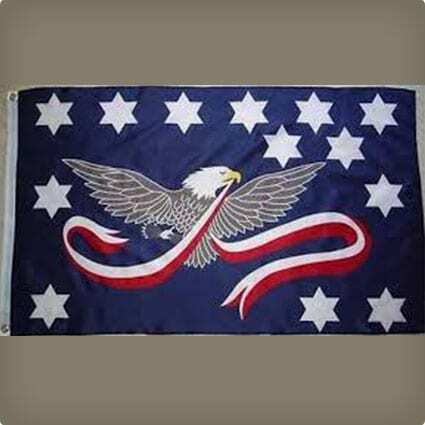 The canvas header is seated with brass grommets so you can display the flag with pride. Put these solid wood coasters under your whiskey glasses to protect your bar, sideboard, and tabletops. 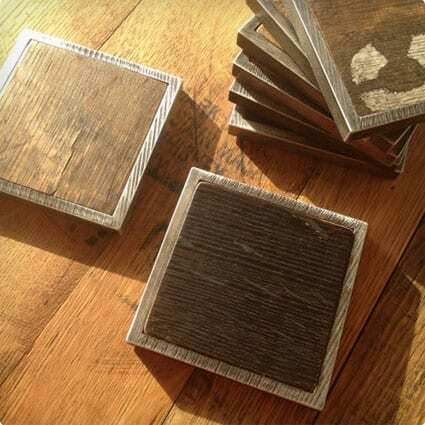 These coasters are made from upcycled oak whiskey barrels and have aluminum edging to keep them strong and lasting long. Each coaster is unique, and some have the original distiller’s labeling visible. 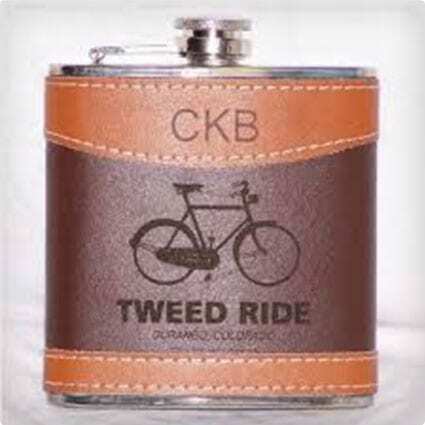 Every true whiskey lover has a go-to flask to keep their favorite libation close at hand. This stainless-steel flask can be engraved with anything you want—your name, your company logo, a special occasion—the choice is yours. Make it personal and never be without your beloved whiskey. Accent your home bar space with this rustic ten bottle liquor rack. Display your vintage whiskies with pride. The rack has a convenient shelf underneath to store your tumblers and shot glasses. It’s made from sturdy wood, finished in light walnut, then coated in matte lacquer to make it last forever. You may have made the switch from Tennessee whiskey to high-end single malt scotch many years ago, but no whiskey lover’s life is complete without an homage to the American classic. Remember your college days and display your loyalty to Old No. 7 with this timeless, high quality poster size print. Up your whiskey game with this all-purpose tasting kit. Read the books, learn to take notes, and you’ll know all there is to know about scotch, bourbon, and rye. This set comes with a tasting glass, tasting journals, and a custom ballpoint pen to take notes. Show off your whiskey love with class and sophistication. These stainless steel, 3-D printed cufflinks are shaped like wood grain whiskey barrels. They’ve got a miniature barrel instead of the usual back clip. They’re finely detailed and realistic looking—you can keep it real and keep it refined at the same time. 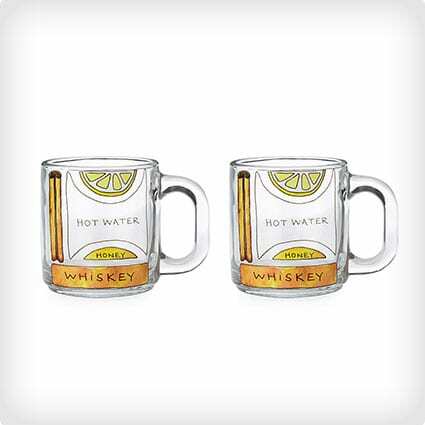 Rejoice in the healing power of whiskey with this set of two specialized glass mugs. These mugs are printed with an easy to follow recipe for your grandma’s favorite cold remedy. Being sick doesn’t mean you have to forgo your favorite drink—it’s really another reason to imbibe. You don’t have to consume alcohol to taste your bourbon. These three sugars are infused with real bourbon flavors—bourbon vanilla, bourbon smoked, and Mint Julep. 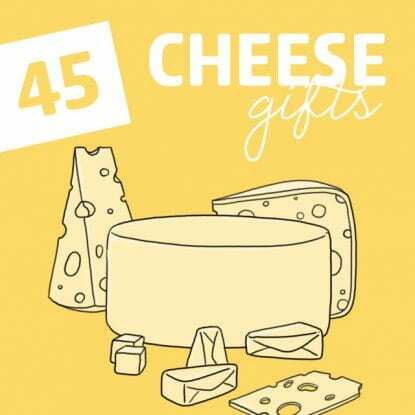 They’ll enhance your morning coffee, toast, or any homemade dessert. The sugars are smoked raw with aged oak bourbon barrel staves. You love whiskey much you want to smell it no matter where you are—even in the shower. 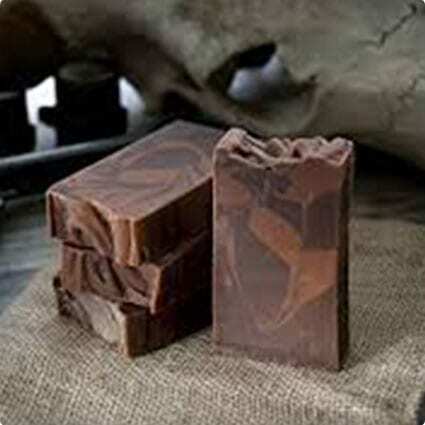 This whiskey and coffee scented soap is made with all vegan oils and suds up to perfection. Relive the epic night before during your morning shower. But be careful, because your boss might think you never made it home from the office party. This is the ultimate whiskey lover’s bucket-list. The author has scoured the world and identified the essential brews that every whiskey enthusiast absolutely must try. They’re not too expensive or ridiculously hard to find—they’re the ones that can’t be left out of any solid whiskey schooling. Add that final touch to your den, entertainment room, or man cave with this personalized wooden sign. It’s made from the top of a whiskey barrel, metal hoop and all. Add your name or favorite quote with up to twenty characters of dark engraving on a light oak background. You have to drink whiskey. Doctor’s orders. Hang this antique prescription replica poster on your wall in hopes that we’ll never go back to the bad old days when liquor was illegal. But if we do, you’ll be prepared with this convenient workaround. The latest greatest way to keep your whiskey chilled without watering it down with ice or adding whiskey stones. A silicone insert forms a diagonal ice wedge inside the glass, increasing surface area and extending melting time. These glasses are monogrammed with your initial or the design of your choice. No list of whiskey gifts could be complete without a bottle of the finest Yamazaki Single malt. This whiskey is recognized by experts as the best in the world, so you might have to wait a while to find it in stock, but it will be well worth it. You’ve been studying whiskey for years, so you deserve to spoil yourself with at least one bottle like this. Take total control of your whiskey universe by building your own still. Use it to distill your own whiskey exactly how you want it. You’ll have an endless supply of hooch and your friends will always want to come over. No one will ever control how, what or when you drink again. Real whiskey drinkers need one of these on hand at all times. This kit idea includes a cup, a knife, a flask and a lighter. You know you always need to light a cigar, and everybody needs a good pocket knife on hand at all times. 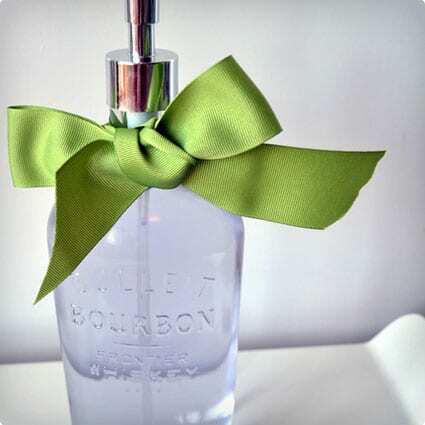 Make yourself a one-of-a-kind soap dispenser for your bathroom or kitchen. All you need is a whiskey bottle, some label remover, a drill or a screwdriver, and you’re in business. 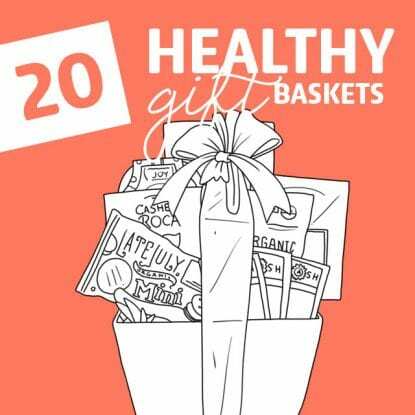 This easy to make gift takes less than twenty minutes. It’s perfect for Dads, husbands and uncles. 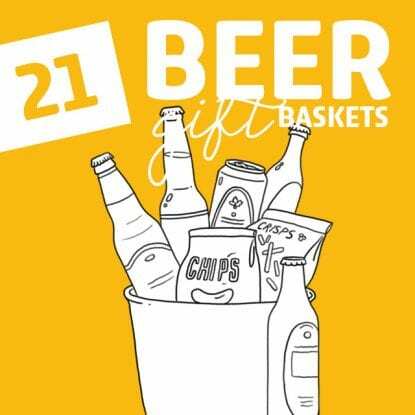 Home craft gifting does not get any simpler than this. Wash off the label, fill with water, put in some flowers, and boom: you’ve got yourself a whiskey bottle vase. Keep the house pretty and make your whiskey lover smile, all without breaking a sweat. What’s manlier than the scent of whiskey and tobacco? Give the gift of cleanliness with the added bonus of the soft aroma of whiskey when you make this whiskey and tobacco soap from scratch.